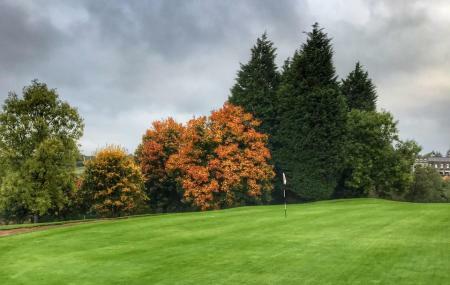 Cardiff and its loves for recreation is pretty evident in attractions like the Wenvoe Castle Golf Club, all over the city. This particular golf club, founded in the year 1936 features eighteen holes and resembles the characteristics of a parkland course. Other than being a popular golf arena, this place is also famous for hosting parties and events. Great place to enjoy a leisurely afternoon. Explore Wenvoe Castle Golf Club and other prime spots of the city using Wenvoe trip planner. Add accommodation and hotels in Wenvoe that suit your budget including the most recommended ones like Tanes Hotel, Holiday Inn Express Cardiff Airport, Park Inn By Radisson Cardiff City Centre and Holiday Inn Express Cardiff Bay. Draft the best Wenvoe vacation packages using ideal templates offered by TripHobo. Also explore how to reach Wenvoe on the go! Love this? Explore the entire list of places to visit in Barry before you plan your trip. Fancy a good night's sleep after a tiring day? Check out where to stay in Barry and book an accommodation of your choice. My friend and I visited Wenvoe Golf Club last week. We were very pleasantly suprised by the vast improvement in the standards on the course. We played the course 12 months ago in the winter and it wasn’t great. However the difference in standards was plain to see. On this occasion the greens were supurb. Perhaps the best greens I’ve seen in January. There was no standing water as there was before. There was only 2 winter tee boxes that I can remember. Every single bunker had been raked that morning and the fairways were in great condition. All in all if you want a round of golf in January. Wenvoe Castle is the place to go. Thank you guys will defiantly be returning.